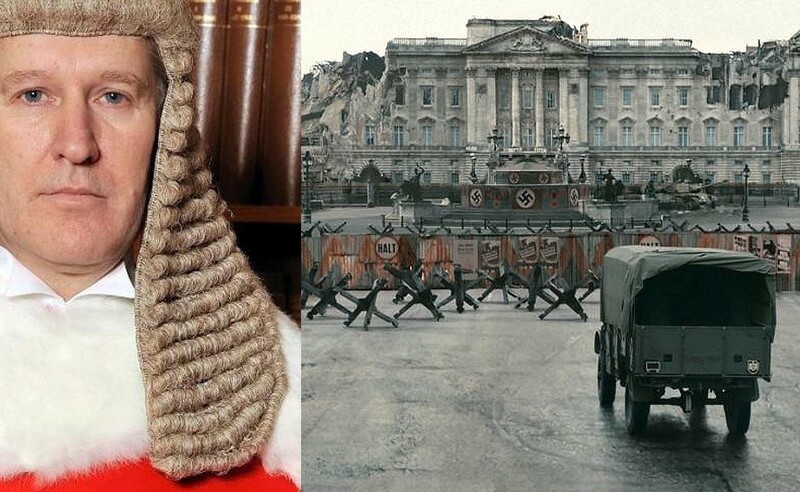 If the Nazis ruled Britain, would they have invented anything as unspeakable as our secret family courts? As the BBC broadcasts its new alternative history TV series SS-GB, which imagines what the UK would be like if the Nazis had invaded Britain, F4J founder Matt O’Connor asks some uncomfortable questions. Coincidentally, Hitler’s children’s rap echoes the mantra of that repeated by Judges, Cafcass Officers, Social Workers and Government Ministers – the so-called ‘child’s best interests’ principle. This wicked, fraudulent claim, has been cruelly used to separate 200 children from their dads every day in our secret family courts ever since the 1989 Children’s Act came into law. Of course, if the courts really acted in the child’s best interests, they would keep empirical records on the outcomes for children in cases they have been involved in. Once caught in the destructive tractor beam of the family court, an unelected, unaccountable and unsackable judiciary will decide what’s in your ‘child’s best interests’, assisted by a phalanx of jackbooted social workers and Cafcass officers, aka known as the ‘SS’ or ‘welfare Gestapo’. This ideologically driven, anti-father Schutzstaffel, has a cult-like obsession with anyone in possession of the XY chromosome. Day in, day out, children are removed from the care of their fathers for the most spurious of reasons; be it sending an angry email, a bitter text or arguing over child support or contact arrangements. In the real world, this is normal, adult discourse. But, under the twisted, perverse rule of gender fascism, it becomes an excuse to separate fathers from their children. If that wasn’t punishment enough, dads are forced to pay out blood money as they battle to see their kids. Kerching! It’s £215 a pop to make an application to see your own flesh and blood. Kerching! It’s another £215 to try and enforce that same court order – a court order that makes toilet paper look like 22-carat gold leaf given it will never be enforced. If you’re paying a solicitor – as much support to a dad as rope is to the hanging man – £5,000 can multiply into £20,000 or £50,000 in months. What solicitors don’t tell you is that 50% of all court orders are broken. And why would they? Solicitors have families to feed too. With your money. But the Family Law Lotto – you lose every time – doesn’t end there. There’s mediation sessions to pay for which involve hand-bagging a dad until he submits to mums wishes. Cafcass will charge you to attend a Parenting Course, to teach you how to parent kids you can’t see, and be nice to the ex who has stopped you seeing your kids. You’ll also be charged £80+ a pop to see your kids in a Contact Centre, which is like putting dads in a zoo so their children can see them from a safe distance. They’ll even coerce you into attending an 8-month Domestic Violence course at £50 a week BEFORE there has even been a finding of fact hearing. Barristers instruct dads to complete the course, dangling the carrot of contact, and that maybe, in a year or so, ‘you’ll see your kids’. I still don’t know anyone who has. And of course, the finding of fact hearing is decided on ‘the balance of probabilities’ by a Jurrasic Judge so prehistoric when they last stepped outside, dinosaurs ruled the earth. They even share the same penchant for dressing up as the Nazis. Coincidence? I think not. If guilty until proven innocent sounds familiar, its because it not only reverses the fundamental principle of our justice system, but is also the standard operating procedure of every dictatorship known to mankind. In my view, the forced separation of children from their fathers is the biggest child abuse scandal in the UK today, and like all child abuse, it’s happening behind closed doors. The closed doors of our secret courts. And like all scandals, it’s happening at a time when the country is focused on other child abuse scandals, but refuses to open it’s eyes to the horrors that are happening in plain sight to families across the UK. Going to a family court is a death sentence for many dads. And apart from the death penalty, the forced removal of children from parents is the most draconian, unconscionable and inhuman action any state could take against a human being. Could Adolf Hitler have dreamt up anything as unspeakable as our family courts? 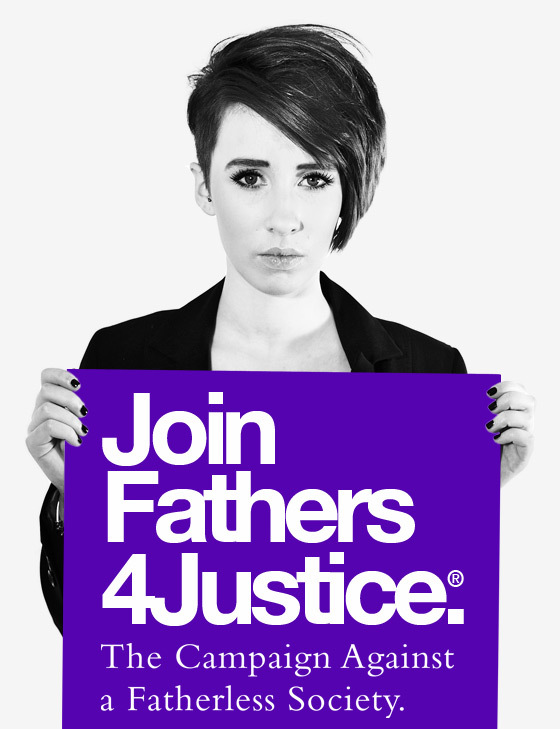 Matt O’Connor is the founder of Fathers4Justice. The Daily Mail: What if Nazis were ruling the world today?